Metro Vancouver is regularly coined one of Canada’s most livable cities, with sprawling mountain ranges, picturesque views and a public transit system that’s leading the country when it comes to growth in proportion of ridership. Statistics Canada’s most recent report noted that Vancouver’s proportion of public transit commuters grew by 6.1% to 20.4% between 1996 and 2016. In contrast, during the same period, Toronto only saw a growth of 2.3% while Montreal experienced an uptick of 2.5%. 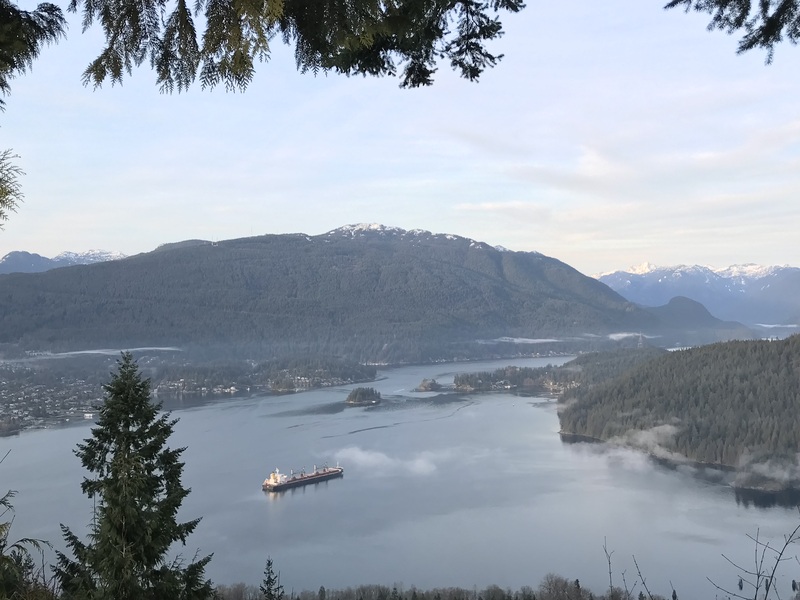 With many Metro Vancouverites living an active and outdoorsy lifestyle, we’re sharing 9 epic transit-friendly hikes in Metro Vancouver. Serviced by Route 144, Burnaby Mountain Conservation Area consists of a network of 26 multi-use trails covering 28 kilometres, criss-crossing 576 hectares. Enjoy a vigorous hike, a leisurely stroll or a heart-pumping bike ride just a short transit trip from the city. The Baden-Powell Trail is a rugged but well-maintained 48 km hiking trail, that traverses from Horseshoe Bay in West Vancouver to Deep Cove in North Vancouver with trail heads scattered throughout. Two sections of the trail are easily accessible by transit, Grouse Mountain to Lynn Canyon, and Lynn Canyon to Deep Cove. Serviced by Routes 211 and 212, the Quarry Rock trailhead is located at the easternmost section of the Baden-Powell Trail, just off of Panorama Drive in Deep Cove. 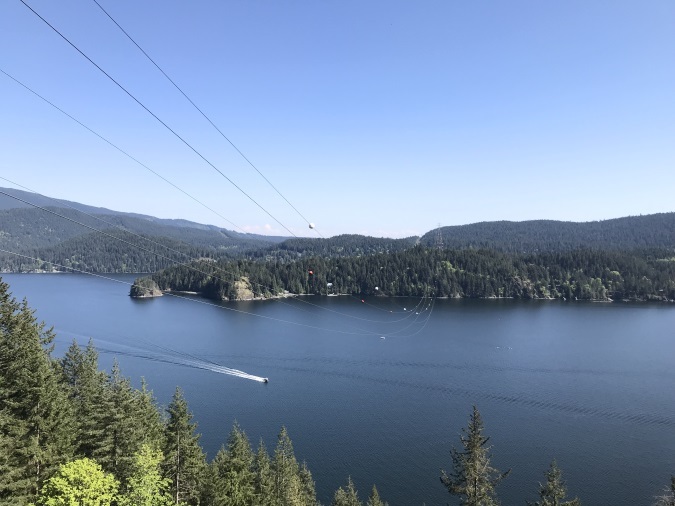 Offering scenic views of Indian Arm and the mountains around Belcarra this hike is densely forested with many bubbling creeks, bridges and picturesque bluffs. Plan for a 30-45 minute ascent and don’t forget to stop for a legendary Roly Poly from Honey’s Doughnuts before you leave The Cove. Routes 232, 236 and 247 will get you to the base of “Mother Nature’s Stairmaster” better known as the Grouse Grind. This 2.9-kilometre trail up the face of Grouse Mountain is a popular Metro Vancouver leg burner that hosts over 150,000 people annually. On average the Grind takes up to an hour and a half to complete, but plan for two hours just in case. Relax and enjoy the scenic gondola ride from the top to the base après hike. Serviced by Routes 210 and 228 Lynn Headwaters Regional Park is a popular gateway to the North Shore wilderness. The largest of Vancouver’s regional parks, a variety of hiking trails for all skill levels of hiker awaits. How do I get to the Lynn Loop trailhead? This trail begins at Lynn Headwaters parking lot. Plan your hike here before you head out to make the most of your day. Serviced by Routes 151, 152, 153 and 156, Mundy Park is a beautiful 178 hectare park and rare urban forest located in Coquitlam. The park’s 5.5 km multi-use community pathway encircles the park and can be completed on foot within an hour. Shorter walks on the interior trails will guide visitors on a scenic loop around Mundy Lake or to the viewing benches at Lost Lake. Serviced by Routes 188, 191 and 174, the Crystal Falls trail head is located at the top of Shaughnessy Street in central Coquitlam. This is an easy 6 km hike in Coquitlam which travels up alongside the Upper Coquitlam River, ending at the scenic Crystal Falls waterfall on Pritchett Creek. Pack a bathing suit for this one as shallow waters and canyon pools make for a great swim. Take Route 250 to one of Greater Vancouver’s most beautiful parks. Located along the shores of West Vancouver, Lighthouse Park boasts some of the largest Douglas Fir trees in Greater Vancouver as well as breathtaking views of the ocean. A variety of trails to choose from mean this is an excellent choice for hikers and walkers of all abilities. If you’re looking for the perfect day trip, hop on the ferry and take Routes 280 and 281, to peaceful Bowen Island. Home of Killarney Lake, and a 4km loop trail that circles the tranquil Lake. Stop in at the visitor centre in Snug Cove for a trail map before you head out to ensure you hit each picturesque look-out point. So grab your Compass Card and your favourite pair of hikers and hit the trails this weekend. Did your favourite transit accessible hike make this list? Hit us up in the comments with your go-to trail. Sarah, should you really be promoting private businesses, like that donut shop? If so, then how do we get you to promote other businesses? 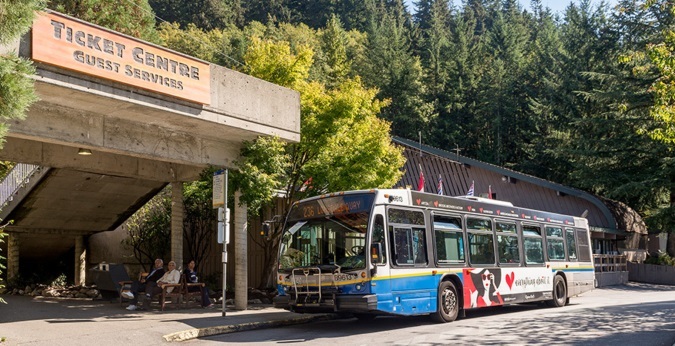 The new 741 bus in Maple Ridge brings you close (but not right to the gate) of the UBC Malcolm Knapp Research Forest, with a variety of trails ranging from leisurely walks to longer hikes. Similarly, the 733 brings you close to some horse trails that can be followed into Golden Ears Park. I’ve still got my fingers crossed for a seasonal extension of the 733 providing service into the park. As a Vancouver’s lover (I’m from France and visits every summer), I only use public transportation so this takes away the hassle of finding new areas which I can access with transit. Only problem is that now I need to add more days in parks but I’ll managae as I never get tired of walking in and around beautiful Vancouver. Thanks Sarah for these great Transit suggestions! Tried the Coquitlam River trail to Crystal Falls, however we had to turn back due to a bear, but then easily went on to Rocky Point Park Shoreline Trail, a very enjoyable walk. Yesterday had a wonderful day trip to Bowen Island, walking the Killarney Lake trail. It’s amazing that we can access these beautiful places via Transit! Forgot to add our trip to Lighthouse Park! Lovely day out and so easy on the 250 bus from Georgia at Granville.